PharmaTech of Davie, Florida, Rugby Laboratories, Major Pharmaceuticals and Leader Brand are recalling various liquid drug or dietary supplement products. The products may be contaminated with the bacteria Burkholderia cepacia, which poses a serious threat to vulnerable patients, including infants and young children who still have developing immune systems. 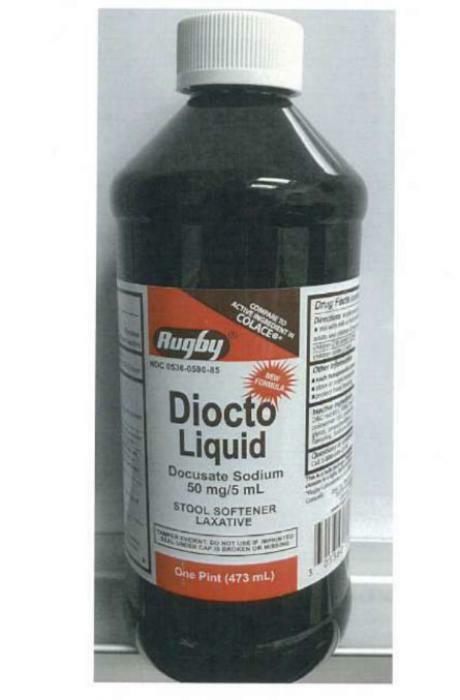 The FDA informed Rugby Laboratories that it received several adverse event reports of B. cepacia infections in patients, which may be linked to PharmaTech-manufactured Diocto Syrup or Diocto Liquid (docusate sodium solutions). Consumers who purchased the recalled products should immediately stop using them. Consumers with questions may contact Rugby Laboratories/Major Pharmaceuticals customer support at 1-800-645-2158, Monday through Friday 8 a.m. – 8 p.m. (EST). Leader Customer Support may be reached at 1-800-200-6313 option #1 Monday through Thursday 8 a.m. – 7p.m. and Friday 8 a.m. – 5 p.m (EST).